The first thing that we really love about the Egg Attack Magnetic Floating Iron Man Action Figure is how it actually levitates! Turn the the flying mode, and it will start floating, thanks to the combined electromagnetic attraction and repulsion. The levitation base itself glows, which makes the floating effect look even more impressive. 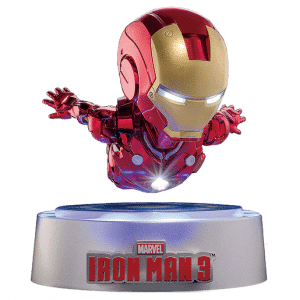 But we also have to commend this Egg Attack Magnetic Floating Iron Man Action Figure for the great attention to detail put into its design. The details are impressive, from the joints to the armor, even to the air deflector when it is on flying mode are extremely crazy to detail! 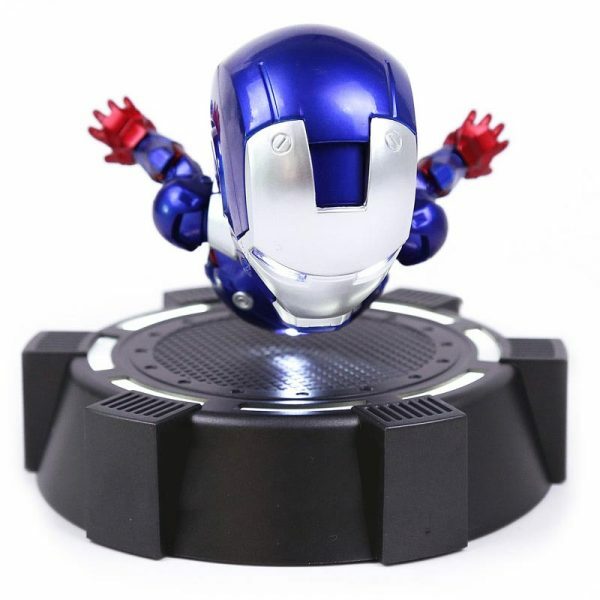 At around 7 inches, the Egg Attack Iron Man 3 Mark II is not all that small, but it’s not too big, either. In fact, it is just the right size, although some would probably want it to be even bigger. So here’s something to smile about: now your egg attack Iron Man can fly, which means you will have the figure floating on your desk! 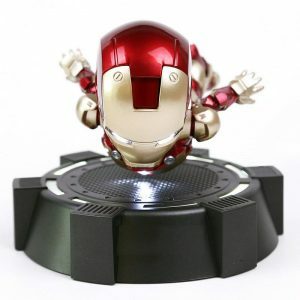 This magnetic version is called the Egg Attack Floating Iron Man action figure, and it can’t wait to be on your desk. Beast Kingdom has hit the sweet spot with the Egg Attack Iron Man, which is considered to be the first ever simulation of the character. Be among the first to own one! Brought to you by GrootGadgets.com, your go-to destination for all things unusual. Click here to see the full range of crazies.